NEW TEMPLATE WITH PAGE BUILDER! Jollyany, A Classy HTML template available here to purchase. This Multipurpose template is packed with infinite features and functionalities.You might have planning to develop any kind if website. We guarantee that our Jollyany Multipurpose HTML5 website template will suits all your needs. Jollyany comes with 30+ different homepage bulbs (versions). 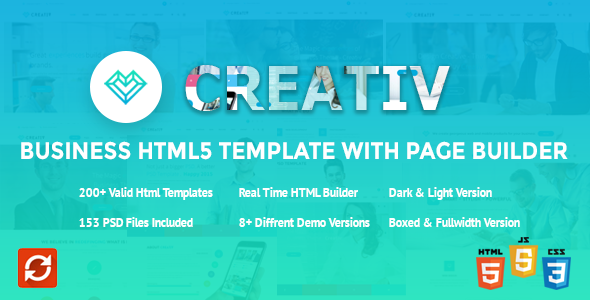 The template make holds with blistering parallax effects, eye-catching hover animations, and more shining features. And so it is the perfect time to click the purchase switch and bright up your online future. We make some powerful color schemes for you for example, blue, green, orange, violet, red and default yellow. But don’t worry you can build your own color schemes very easy! Total $32 value items included to this package (FH Bootstrap Mega Menu, Revolution Slider, Royal Slider). And so it is the perfect time to click the purchase switch and bright up your online future. What they say about our works? Please create new account on our Support Forum for more faster answers to your questions. PSD design by DezignElite thanks for the awesome design.